Global scale competition, coupled with political uncertainties, has reduced the demand for finished goods, pressurizing the manufacturing industry. Countering the predicament from a competitive standpoint necessitates manufacturers to maximize gains in the production process. Production optimization requires the seamless integration of smarter industry tools with Enterprise Resource Planning (ERP) software for better visibility into key performance indicators. Armed with a resourceful team of production engineers, project managers, development and technical experts, EC Solutions has been providing state-of-art integrated business solutions to help customers remain competitive. 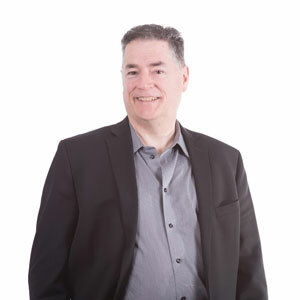 “We bring decades of experience and unparalleled expertise in implementing ERP solutions,” says Andre Paquet, President, and Co-founder, EC Solutions. Proficiency in ERP implementation has led to EC Solutions being named an (Epicor Platinum Partner)—an ERP market leader. While the company assists clients in deploying Epicor ERP and Epicor Prophet 21, its services stand out in the priority accorded to customers and their feedback, starting from the first contact to the latest support call. “Earning the customers’ trust to become a reliable advisor is extremely important for us,” mentions Paquet. The firm’s ERP implementation methodology begins with a client’s Business Process Review (BPR), which identifies all the potential areas for improvement and optimization in clients’ systems. Outcomes of BPR are used to define specific business objectives and workflow that would be automated or optimized using software. While integrating tools from a technical standpoint comes easy for EC Solutions, Paquet admits to a challenge in helping customers realize the value of using modern tools. EC Solutions hosts numerous seminars and workshops to educate manufacturers on the benefits of using advanced tools like Industry 4.0, such as visibility into performance metrics or increased ROI. “Helping customers understand the actual impact of tools for achieving maximum ROI is our cornerstone philosophy and an integral part of our implementation methodology,” states Paquet. EC Solutions has a high standard of measuring its success in implementing solutions, which includes achieving pre-agreed business goals within prescribed timelines and budget. After enabling customers go-live with the new ERP solution, EC Solutions continues to assist them in refining the usage of all advanced features and functionalities of the system, allowing them to make the most of their investment. Customers are also provided with local after-sale support and on-demand training for Epicor software in their language of choice. Among the many enterprises that have experienced the highest standards of EC Solutions’ services are Groupe J.L. Leclerc and Valtech Fabrication. J.L. Leclerc an expert in the fabrication and welding assembly space, which faced challenges with regard to the volume of manufactured goods. With EC Solutions on board, the company was able to unleash the power of Epicor ERP, following which Groupe J.L. Leclerc could manage thrice the capacity than earlier; the scalable solution synced with client’s expansion plans. Further, the advanced ERP toolset embedded in Epicor—Executive Dashboard functionality—allowed Groupe J.L. Leclerc to create dashboards for defining specific KPIs without any in-house programmers, thereby boosting ROI. Valtech Fabrication—a custom metal fabricator, launched a customized Epicor ERP package to check the fabrication quality of equipment used in Fluid Catalytic Cracking Unit. EC Solutions performed various enhancements, and extensions to existing Epicor ERP version 10, for managing the quality control unit. Consequently, the solution minimized human error in fabrication, enhanced traceability of all fabrication elements, and provided real-time data monitoring and collection. Visibility into the fabrication process at a granular level ensured high quality. EC solutions incorporates the evolving technologies into its solutions and services for maximizing ROI for customers. Paquet concludes by saying that the company’s mission is to place customers on the leading edge.